Enrollment in the Broad College of Business is limited, and admission to the Broad College is competitive. Students with a strong work ethic, demonstrated scholarship and leadership abilities are encouraged to apply. All applicants must comply with the Broad Policy Statement for undergraduate students. Admission is a two-step process: students must apply first to the Broad College, then to their intended major. The Broad College admission process detailed below is available to current MSU students only. 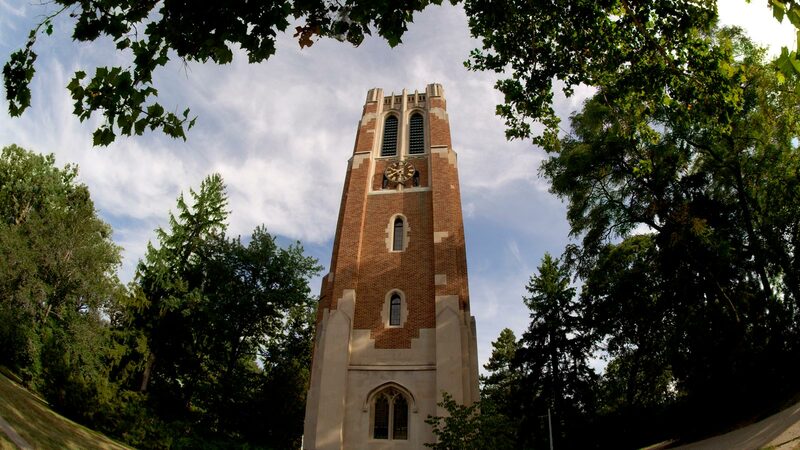 Prospective MSU freshman and transfer students must apply through the MSU Office of Admissions. The admissions process detailed on this page does not apply to hospitality business majors. The School of Hospitality Business administers a separate admissions process for the B.A. in Hospitality Business. Spring 2019 Dual-Enrolled Course Documentation Deadline: May 8, 2019 at 8:00 p.m.
Students must be in the Business Preference major to be considered for summer admission. Case Study must be completed on MSU’s campus (required for students living within 75 miles of MSU), or at a certified testing center, or at a college or university testing center. A list of approved testing centers is available at ncta-testing.org/find-a-cctc-participant (testing centers may charge a fee or have restricted hours of operation); these are the only approved off-site testing locations. All Case Study registration and off-site testing center arrangements must be approved by July 11, even if your testing date is after July 11. All off-site Case Study sessions must be completed by July 19. Experiential Profile Deadline: July 19, 2019 at 11:59 p.m.
Summer 2019 Transfer Course Documentation Deadline: August 21, 2019 at 8:00 p.m. There is no admission to major in the summer; the next application opens September 10, 2019. The Spring 2019 application is closed. The Summer 2019 application will open June 5, 2019. Admission to the Broad College considers academic factors, non-academic factors and an optional personal statement. Students should apply in the fall/spring semester in which they will complete the requirements. Only MSU grades are used in the College Precore GPA calculations, unless all college precore courses are completed at an institution other than MSU. Precore course equivalents taken at MSU are used in the College Precore GPA calculation. Only MSU grades are used in the cumulative GPA calculation. Students seeking admission must submit as part of their online application an experiential profile and a case study. A proctored case study considering characteristics in one of the following thematic areas that will be randomly assigned. The approach includes meaningful self-reflection and teachable moments regarding integrity, initiative, professional relationships, work experience and extra-curricular activities as they relate to the business world with the experiential profile, and the case study is consistent with the five key dimensions of personal and social responsibility of the AAC&U leadership initiative. The personal statement of extenuating circumstances is an opportunity for a student to share a circumstance beyond his/her control that might have impacted academic performance. Official supportive documentation of the extenuating circumstance must accompany the personal statement. Answers to common admission-related questions, including how to document dual-enrolled transfer courses, how precore GPAs are calculated, canceling an application, admission point breakdowns, past admission rates, how AP/IB/CLEP credit is used, requesting accommodations or a make-up date for the case study, and who should submit a personal statement. The appeal period for fall 2018 decisions has ended. Students who have an extenuating circumstance that prevented them from appealing their admission decision during the published appeal period (December 22-January 9) should contact admissions@broad.msu.edu. Documentation of the extenuating circumstance must be included in the message. This information is for students at other institutions who wish to transfer to MSU to earn a degree from the Broad College. Information sessions are intended for current MSU students applying for admission to the Broad College of Business or a Broad major this semester. All applicants are strongly encouraged to attend. Topics addressed include: Broad College/major application process, academic and non-academic admission factors, resources for completing the experiential profile, case study tips and explanation of the admission decision process. Students can choose the session that fits their application process and schedule. No pre-registration is required. Attendees should bring their Spartan ID card. For all students planning to apply (or reapply) to the Broad College this semester. Topics addressed: application process, academic and non-academic admission criteria, resources for completing the experiential profile, case study tips and explanation of the admission decision process. Choose one session to attend. For all students who completed a case study this semester. Topics addressed: experiential profile scoring criteria and resources available to assist students with their profiles. Criteria for admittance to a degree-granting major in the Broad College of Business is dependent on academic factors. There are also two “competitive admission” majors at Broad. Only MSU grades are used in the Major Precore GPA calculations, unless all major precore courses are completed at an institution other than MSU. Precore course equivalents taken at MSU are used in the Major Precore GPA calculation. The following majors are “competitive admission” majors, and specific academic factors will be considered when determining admission. College admission decisions are based on a hybrid model that considers academic and non-academic factors. The purposes of including non-academic factors in the college-level admission decision process are to enhance the student’s educational experience through the process, to recognize attributes employers and industries value in the process, to acknowledge qualities that are valued by and consistent with the mission of the Broad College, and to include appropriate factors considered as indicators of success by the admissions review committee. This more inclusive developmental approach to the admission decision model includes meaningful self-reflection and teachable moments regarding integrity, initiative, professional relationships, work experience and extra-curricular activities as they relate to the business world, which is consistent with the five key dimensions of personal and social responsibility of the AAC&U leadership initiative.